When we talk about radiations, we always come across with the ill effects which they create on our health; they are very complex in nature. It becomes more difficult for the person to understand it when they are not professionally associated or involved in it. We here will try to provide the basic concepts which are associated with this terminology and associated concepts, so that it can be easily understood by any person. We are surrounded by the radiations, its real in nature, like we are getting it either sun or from any electronic device which we daily use. Is radiation is harmful or not, depends upon the type of radiation you get exposed too and for how much time. Any matter which you can observe is made of the discrete components known as molecules and atoms. Atoms are further divided into particles such as protons, electrons, and neutrons. When any group of particles or any particle is accelerated, it will reach the high energies and will be able to travel a long distance in a very short period of time. A radiation can be defined as the collection of those particles which have the necessary energy to transfer or interact some of their energy to other materials or objects that come in between their path. So radiation is the transmission of energy from the body in the form of particles or waves. It can be of anything like a dangerous one from the nuclear plant or harmless light from the flashlight. What are the types of Radiation? 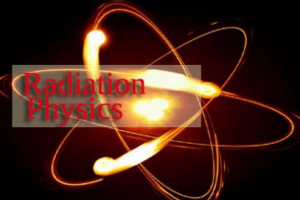 Radiations are of two types ionizing & non-Ionizing radiation. In ionization, an atom either gains or loses an electron. As electrons are charged negatively, they will take only those atoms which have no charge associated with them and further give an atom either negative or positive charge depending upon whether an atom has gained or lost the electrons. When an atom gets the charge, it is called ions. The only difference between ionizing or non-ionizing radiation is that in ionizing radiation enough energy generated which strip off the electrons from an atom and in non-ionizing radiations does not generate energy to strip electrons from the atom. When we get exposed to the ionizing radiation from any source, inside or outside the body, the radiation will interact with the molecules in the body cells, which comes in their path. Some ionizing radiation may travel through several layers of the body cells or through many cell layers and tissue deep in the body. The main target in the body which gets impacted by radiation is the DNA of the cell, it may be direct or indirect. The main and important concepts, in radiation biology, is the rapid division of body cells and become most sensitive, thus are the most vulnerable and can cause injury or even death too. The long-term effects caused by ionizing radiation in the human body is learned with the help of epidemiologic studies i.e. exposed people or population at the risk of radiation. Epidemiology is the study, which conducted on the population, of distributions and determinants of diseases in humans. This study is conducted only and under the natural condition which has already occurred as humans can’t be put under radiation due to the known fact of the risks involved. So, a situation which has already occurred either accidentally, medically, occupationally or may be due to some military actions are taken for conducting studies. As radiation study is conducted under Radiation Physics, as no matter what mechanism is used to monitor the impact of radiation on the human, safety procedures need to be taken care. A risk involved in radiation exposure has severe biological ill effects. Therefore, radiation physics helps us to quantify the absorbed and exposed radiation, and its biological effects and involved risks. Physics of Plasmas. Explained by EFRE.